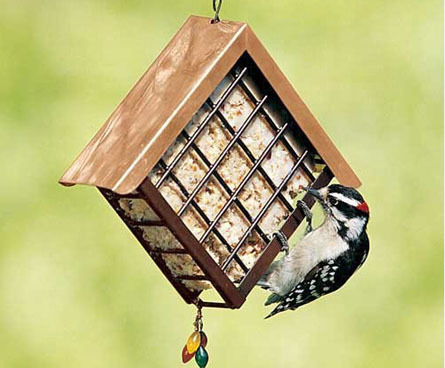 Take a look at some of these unexpected bird feeder companions. Although their black, white and red colors stand out in many wooded areas, it's not uncommon to hear a downy woodpecker before you see it. 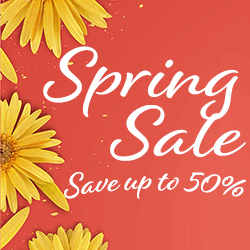 The whinny sound that it makes has a distinctive descending pitch. You'll also hear the familiar and fast "drumming" during mating season, as birds mark their territory, attract a mate and bore holes in dead trees for their nests. It can be hard to tell the difference between a downy woodpecker and the similar looking hairy woodpecker. The two birds live in the same types of areas and have very similar markings. The downy woodpecker is smaller (only 6" compared to the 7-10" hairy woodpecker), but the most recognizable difference from afar is the size of the bill: the downy woodpecker has a much smaller bill than the hairy woodpecker. 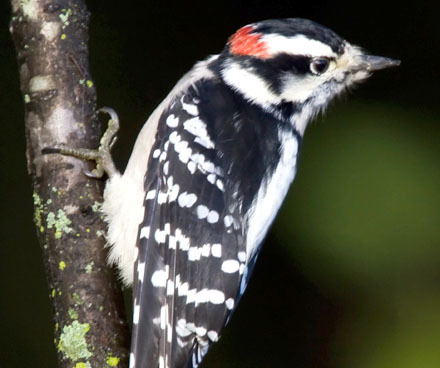 Downy woodpeckers are a favorite bird of many backyard birders. The bright black and white pattern and the red patch on the back of the males makes them easy to observe once you locate one. The smallest of the woodpeckers found in North America, the downy woodpecker is an engaging bird that is a lot of fun to watch! 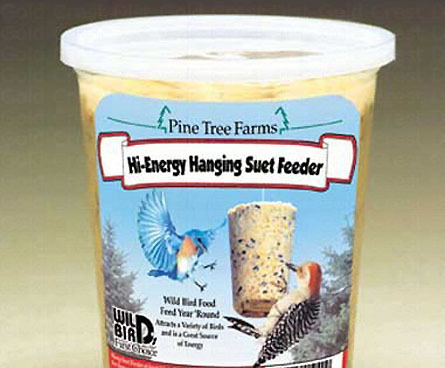 If you want to attract woodpeckers, suet is the perfect choice. 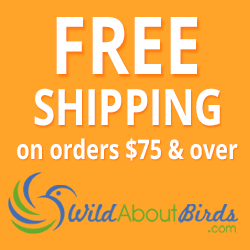 These active birds are often found on suet bird feeders and sometimes will snack on black oil sunflower seeds meant for your songbirds. When they aren't eating at your bird feeder, you're likely to see downy woodpeckers foraging for a variety of insects found on trees and plants. Sometimes described as acrobats, downy woodpeckers can hunt for food on small tree branches that other woodpeckers would avoid. 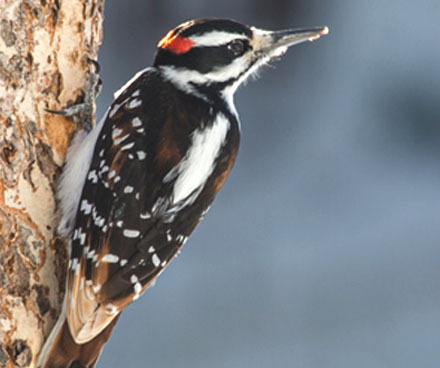 In the winter, downy woodpeckers may join a mixed flock of birds that includes nuthatches, chickadees, kinglets and other birds that like to gather in parks or woodlands.